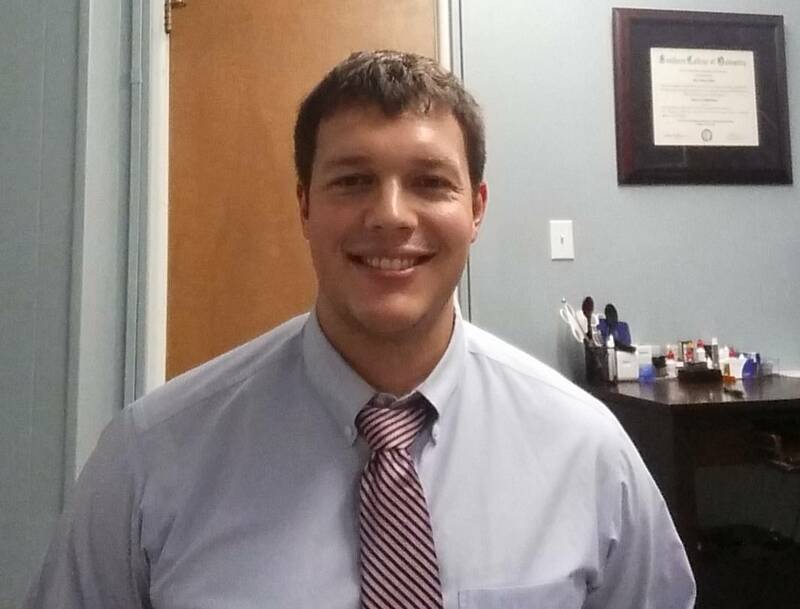 Home » Our Doctors » Tyler Kennedy, O.D. Dr. Tyler Kennedy holds both a B.S. in Biology and a B.S. in Business Management from Kansas State University. He received his O.D. from Southern College of Optometry in Memphis, TN. Dr. Kennedy has been in practice for three years and he specializes in general practice with an emphasis on contact lenses. He has been a member of the KOA and AOA for three years. Dr. Kennedy grew up in Lebanon, KS and attended Smith Center High School. He lives in Manhattan, KS with his wife Kristina and enjoys spending time with his family, attending Kansas State football and basketball games, and spending time outdoors.